Get your sugar fix at one of the many candy shops all over NV. If you have a sweet tooth you do not want to miss out on these amazing stores. From chocolates to gummies to lollipops, these Nevada candy shops have more sugar then you can imagine! Check out the delicious Sweet Factory candy store in Reno, Nevada! Here you can please that sweet tooth with a variety of yummy candies, chocolates, and candied fruits and nuts. They have everything from sweet to sour and chocolaty and rich. You can't go wrong with sweets from here! 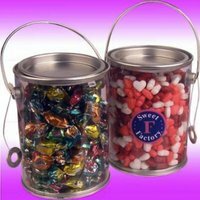 Should you have a very special occasion coming up they can help with their custom candies for your event. Even their containers are reusable as toys for your kiddos. Come checkout this great candy store in Reno! Are you a choco-holic with a desire to explore more ways to integrate chocolate into your diet? Well, Kimmie Candy Company is the candy store to check out! They have all type of chocolate covered nuts, fruit and seeds as well as fun seasonal items too! 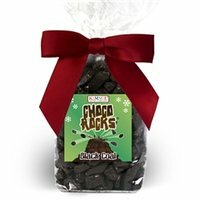 This candy store offers ChocoRocks which are chocolates that look like fun rocks, candy corn covered in chocolate...Really, everything chocolate as well as other yummy candies! 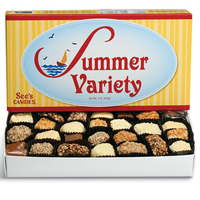 Unless you have been living under a rock, you have heard of See's Candies. 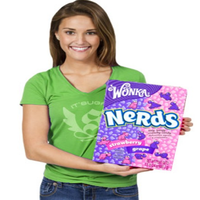 They are known for their delectable sweet treats, chocolates, custom candies, brittles and toffees! They have been around for years and continue growing each day. When craving something sweet See's should most certainly be on your list of places to dash to. They have a plethora of treats for any sweet tooth out there. Stop by this candy shop in Reno to grab your sweet treats soon! Rocky Mountain Chocolate Factory is every chocolate lovers dream! With every chocolaty variety you can think of there is no way you are walking out of here empty handed. Chocolate bars, candy covered chocolates, chocolate covered snacks... They have everything! Don't go anywhere else for your chocolate cravings because the Rocky Mountain Chocolate Factory Candy Store in Reno, Nevada is your spot! 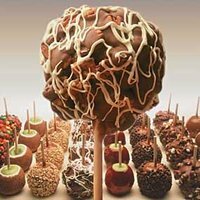 Be sure to even check out their chocolate covered fruits, especially their apples! Sweets Handmade Candies in Reno, Nevada is an excellent choice for anyone craving something sweet or wanting to be sweet. 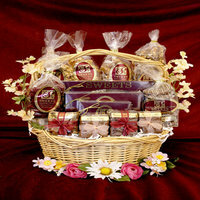 With their amazing selections of sweets and treats you can treat yourself or give someone a thoughtful gift. They have baskets for anyone and any occasion you can think of. You can customize your baskets as well! Come to Sweets Handmade Candies in Reno for your candy and sweet needs! Who said candy can't be couture? At the Sugar Factory in Las Vega that's all they sell! 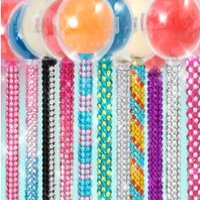 Fashionable and trendy sweets galore is what you will find here. Their tasty sweets are the hippest in top. With couture pops to fashionable cupcakes, you will be so "in" with anything from the Sugar Factory. Should you need cool and amazing gift ideas, just come here to give the ultimate sweet treat for your friends and family. Don't forget to grab something nice and sweet for yourself too! It's Sugar in Las Vegas, NV is your sugar haven! With sugary everything, there is no way you will walk out without a sugar high. Besides delightful sugary items you can be sure to find some wacky things too like giant gummy bears and other gigantic candy things. Besides their sugary goodness they also have a novelty store full of fun and quirky things for you or your friends. Be sure to check out It's Sugar in Las Vegas! These awesome treats are sure to please. Do you have a party or event coming up? 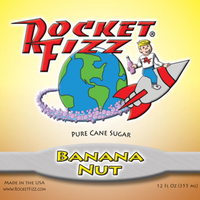 Why not choose Rocket Fizz to help make your party the sweetest party on the block? Rocket Fizz has all kinds of sweets available. Be sure to check out their treats and pops next time you have a craving for something nice and sweet. If you want to eat the yummy little chocolates, play with them, buy souvenirs with them on it, or even decorate your home or office with them, the M&M World candy store in Las Vegas, NV is your spot. They have these cute M&M World characters in all shapes, sizes, and apparel. Of course, you can just come in to get a few bites of these little guys. 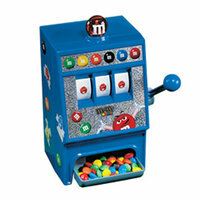 You can't go wrong with the classic M&M's!